WE HIGHLY RECOMMEND ARRIVING LATEST THURSDAY AND LEAVING EARLIEST MONDAY! GET YOUR FULL EVENT TICKET FOR 2019 NOW! The best hoop convention ever? We think so 🙂 And so do you given it was the winner of the 2015 Best Hoop Event Hoopie! You can only win it once so thanks all! 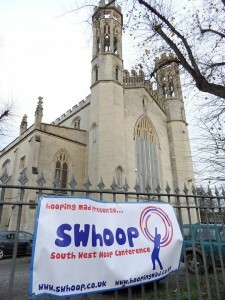 SWhoop is the South West Hoop Conference brought to you by Hooping Mad (aka Emma Kenna). 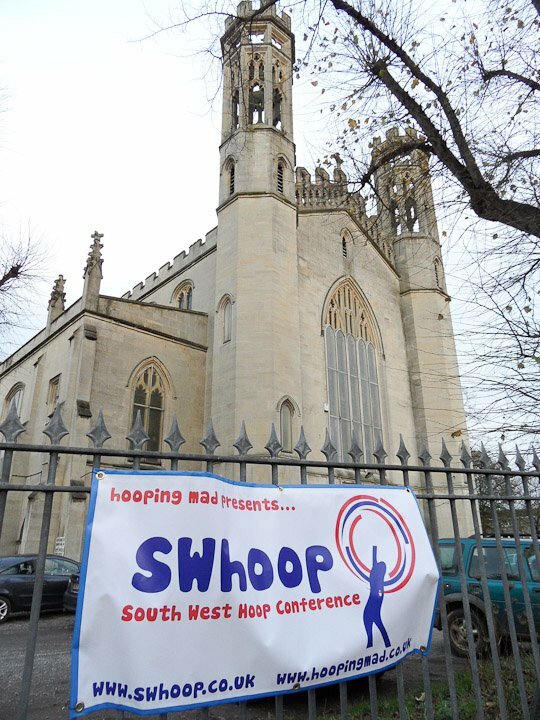 Held in a converted church in the heart of Bristol in the UK, SWhoop is a high intensity weekend of hoop workshops, crafting, shows, hoop party, ukulele, and A LOT of laughing. Each year we offer a range of the best international hoop teachers and instructors plus extra circus and dance workshops. Although SWhoop generally caters to a higher level hooper it’s still beginner friendly with a variety of levels of workshops to suit all. Add to that two amazing shows, Saturday party until 2.30am, ukulele and the best food Bristol has to offer and you have SWhoop! Did I mention there’s unlimited chocolate? 🙂 See you there! Join us at out fb group! CHECK OUT our Instagram page for loads of vids and pics of the last couple of years events and search #SWhoop2018 and #SWhoop2017 on social media for more.